China-based Hangsen Company has been around since 2009 and currently prides itself in being among the world’s leading e-liquid manufacturers. Is it true that the company remains at the cutting edge of the electronic cigarette industry? Well, having branched out to America and Europe and worked up a distribution channel expanding out to about 80 countries throughout the globe, it’s fair to consider them a huge brand. So what’s so special about the e-liquids from Hangsen Company anyway? Let’s see. First off, all of them are natural. The need to keep away side effects and related bothers is what drove the company to opt for natural ingredients. Then there’s the high-quality flavorings which you’ll find more about later in our review. What’s actually attracted the attention of many to this e-liquid is their pricing. It’s so competitive yet on par with the highly priced e-juices when it comes to quality and performance. 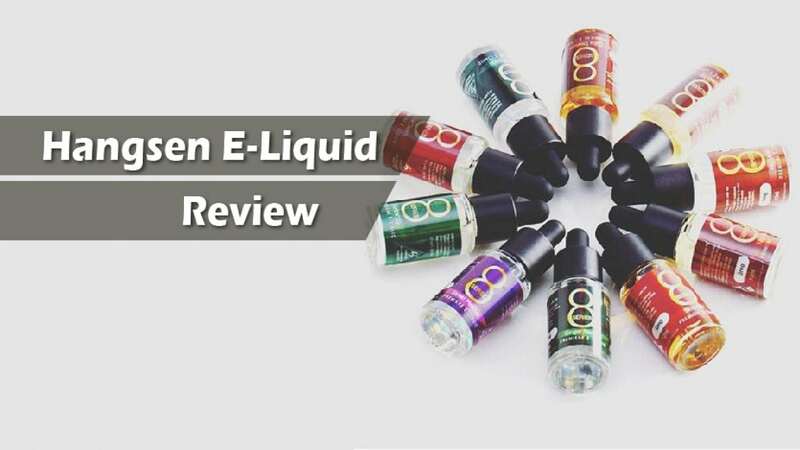 Consumer satisfaction remains their main focus and so if you want to find out how a Hangsen liquid can satisfy you, be sure to read this Hangsen e-liquid review through to the end. 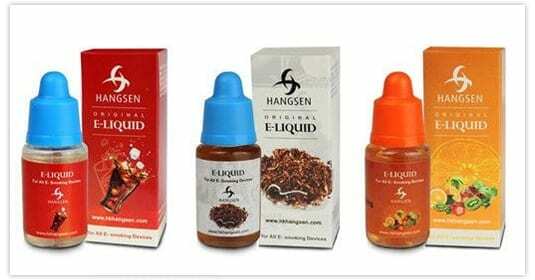 Much as many of us tend to be skeptical about products from China, Hangsen e-liquids are an exception. The taste is terrific and will have you running for more flavors. Stringent quality controls and testing have been put in place just to ensure everything that comes out is of the highest quality. You are a guaranteed a decent throat hit, thanks to its 70% PG (Propylene Glycerin). That means the VG is only 20% so vapor production may not be really huge and thick but it’s still just right for vaping. They come at an extremely affordable price yet match in quality and performance to some of those highly priced e-liquids. For Hangsen Company, it’s not just about legal requirements and meeting set standards. It’s deep within the company to create innovative e-liquids that are will help people lead a healthier lifestyle. But even as they do that they of course adhere to set standards such as the GMP production practices and International ISO 9001. So in the end, the company ends up with products that meet the highest quality standard. Most of the reputable e-liquids brands in the UK and US don’t come cheap. 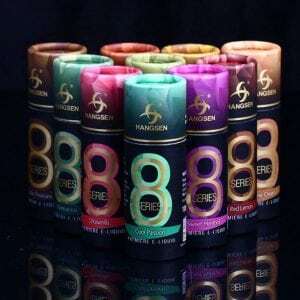 But what’s interesting about the Hangsen liquid is that it can match up to the quality of this expensive e-liquids yet retail at a price that is almost half that of this other brands. This might explain why it has been a subject of discussion in many forums. Earlier on we Hangsen e-liquid review, we saw that the company has built up a distribution channel that spreads out to about 80 countries throughout the globe. That’s not an ordinary achievement because very few e-liquid manufacturers can boast of that. Having a presence in all these places has led to their e-liquids gaining much publicity and love. This is actually what many are talking about in e-cigarette forums. Many who’ve tried any Hangsen e-juices admit that they taste so good, a reason that has led many to want to try out each of their other flavors. And if they taste this good and cost less than the dozens of e-liquids spread out all over the marketplace, why not go for it? With 70%PG, Hangsen e-juices only seem to be good for clearomizers alone. Even though clearomizers might be the best way to vape, there are a number of us who prefer to use a different unit. It would be a very bad idea to try vaping the liquids on a dripper. Some might actually be better only if you decide to mix them up with some VG. It’s hard to even start counting, leave alone naming the flavors to expect from Hangsen Company. Some e-liquid stores claim to stock well over 100 different flavors of this company. That can only mean one thing: there’s a flavor for each of us. Whether it’s tobacco, menthol, cola, caramel, name it, they have it. Both PG (Propylene Glycol) and VG (Vegetable Glycerin) are important because they play a huge role in how any e-liquid vapes. Whereas VG adds great vapor production as well as a smooth feel, PG helps to ensure a stronger throat hit. Every Hangsen e-liquid has 70% PG and so a decent throat hit is guaranteed. This also means they are designed to work with clearomizers. Consistency and quality are two of the most important elements when it comes to e-liquids. Inside their factory, the company utilizes advanced production equipment and machines to guarantee that and once the e-liquids are out, they are passed through a minimum of ten quality controls and five testing procedures and from there, they are then shipped. What’s clear from our Hangsen e-juice review is that the quality of Hangsen e-liquids is excellent and can match any one of the other top e-liquids we have in the market today. Much effort has been put to bring it close to perfection and besides that, if you’d love to test out the many different e-liquid flavors we have in the market today, look no further than Hangsen e-liquids.